Nyerere was born on April 13, 1922 in Tanganyika. At the age of 25, he received a teaching diploma and started working as a teacher. His political career began in 1953, when Nyerere became president of the Tanganyika African Association. A year later, he terraformed the Association into the Tanganyika African National Union and began to struggle for the independence of Tanganyika. He achieved his goal in 1961 and became the first Prime Minister of Tanganyika. 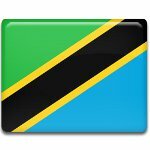 In 1964, Tanganyika and Zanzibar united to form Tanzania, and Nyerere became the country's first President. Nyerere resigned twenty years later, relinquishing power to his hand-picked successor, Ali Hassan Mwinyi. He remained the chairman of the ruling party for five more years. He died of leukemia on October 14, 1999 at the age of 77. Nyerere Day is a national holiday widely celebrated throughout Tanzania. It is marked with remembrance ceremonies that honor the memory of the country's first president. Despite the fact that Nyerere's reputation is controversial, he is often regarded as the most popular president of Tanzania.